I hope everyone is having a nice holiday season! I hope you have a great new year!!! The first link is a hard hitting one. Media Storm is a website dedicated to multimedia projects. It has short presentations with photography, video and audio. Flak Photo is a blogzine that takes submissions of “distinctive work”. They seem to like a contemporary style, and have some inspiring stuff. Magnum photographer David Alan Harvey. Craig Ferguson is a great photographer with a website and an active blog. Michael Geier has a website called “Discover Formosa” and a blog with some fantastic photography. 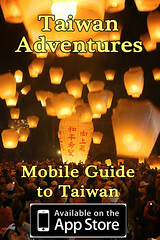 David Reid is a blogger with some great information and in-site to Taiwan. One of his websites is called David on Formosa. Ashish Ashlin has a blog called “Tumbling in Taiwan” (love the name) with information and photography from Taiwan. I haven’t had a lot of time to look around it yet, but it looks good! I’ve added all of the above Taiwan-type links to my side bar… Nice to meet you all! The club is currently running a scavenger hunt with 26 (!!!) things to find. You need to shoot a photo for each letter of the alphabet. All the information can be found here. I don’t know if I’ll be getting anywhere near 26, but I’ll give it a shot. We’re meeting again after Chinese New Year (Early February) *correction- the new meeting will be 11 January at Yuma Grill again* so if you’re interested, join!